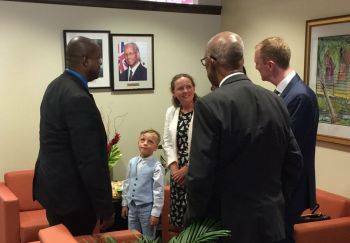 Home » General News » New BVI Governor Augustus J. U. Jaspert arrives! 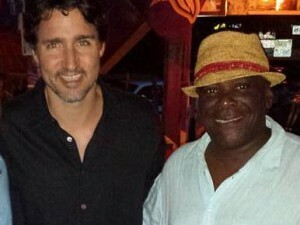 New BVI Governor Augustus J. U. Jaspert arrives! Mr Jaspert, along with his wife and two young sons, arrived at Terrance B. Lettsome International Airport on Beef Island around 12 noon today, August 21, 2017. Mr Jaspert will take the Oath of Office for the Governor upstairs the House of Assembly (HoA) building on Tuesday August 22, 2017 amid controversy that Speaker of the House Ingrid A. Moses-Scatliffe fought to prevent him from being sworn in at the HoA as always been the practice. Mrs Moses-Scatliffe has said Mr Jaspert could not be sworn in at the HoA as she had not invited him there.